Lead nurturing is commonly associated with email outreach. However, long gone are the days when sending emails was the only way to reach out to your leads directly. Today there are roughly 269 billion emails sent every day, making your lead nurturing email just another drop in the ocean. 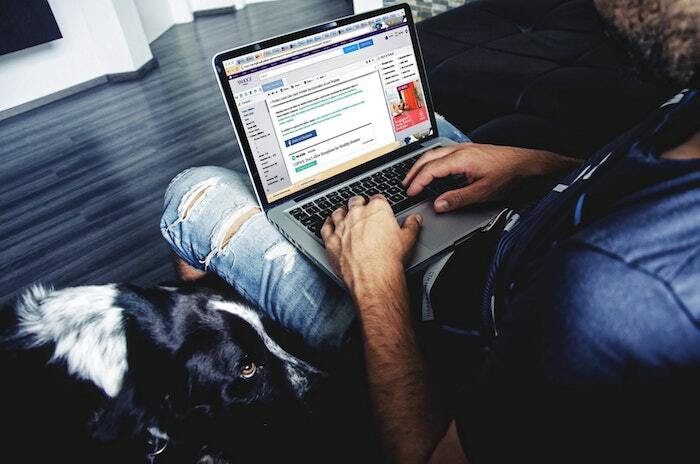 While we can’t argue that sending personalized and timely emails is still important, we must understand that there are more effective alternatives to lead nurturing. Besides, let’s not forget all the leads that didn’t leave their contact information in the first place, before they disappeared into thin air. There’s a great potential in them too. So, whether your email campaigns aren’t bringing the desired results, or you’re simply looking for new ideas to change up your lead nurturing strategy, here are 8 simple and effective alternatives to lead nurturing emails worth exploring. When you want to transform your cold leads into warm ones, there are two strategies you can choose using live chat. You can be reactive – wait for a customer to ask you a question. Or you can be proactive and offer your help before the customer even asks for it. The truth is, brands that take proactive customer support seriously can expect an increase in customer retention rates by 3-5%, and it is enough to boost their overall profits by 25-95%. If this doesn’t convince you to go proactive, I don’t know what will. If you already have live chat up and running, setting up a proactive chat message will take you only a few minutes. All you need to do is define triggers that initiate a proactive chat with a visitor when a specific condition is fulfilled. Remember, the goal of setting up a proactive live chat is to foresee the need for assistance while your visitor might still be hesitant to ask for it. Present your message in a natural, friendly, and timely manner and let the visitor decide whether or not to respond. not enough to just join different online communities to nurture relationships with your leads. Successfully nurturing your leads through online communities means actually participating in conversations. Depending on the nature of community, you will have to ask questions or answer them, share your recommendations, or start new discussions. However, wisely pick which community is worth your time. Spending time on Quora or Reddit can look like a good idea, but it might not bring you any results if your audience isn’t there. The key to lead nurturing through online communities is to be where your target audience is. Let’s say you’re selling unique baby apparel. Find forums or Facebook groups joined by parents. And if you’re offering screen protectors for mobile devices, it would be smart to look for tech lovers communities. You can also create a community for your brand followers if you think that joining already formed communities is not enough. 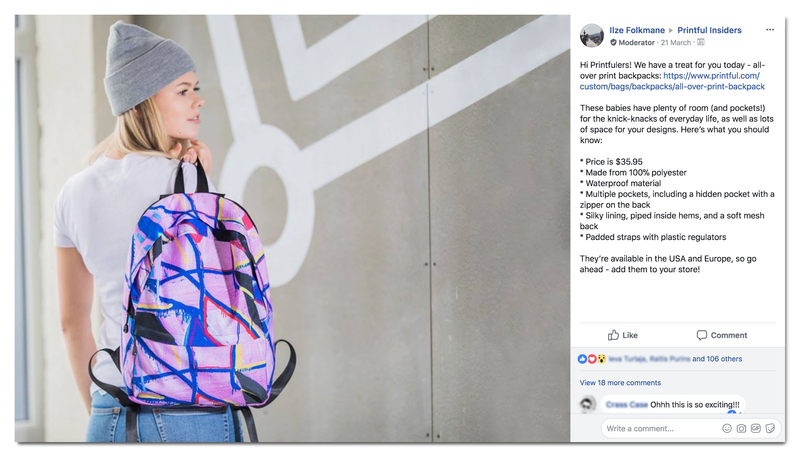 Custom printing and warehousing company Printful has a closed Facebook group for their registered users called “Printful Insiders.” Anyone who has a Printful account is welcome to join and ask or answer questions, and share their experiences or advice with others. Several people from the Printful team are in charge of community moderation. They actively engage with group members and moderate conversations to prevent disrespectful or irrelevant content from circling. To keep community members engaged, every once in a while Printful also host giveaways, early product launches, shares exclusive sneak-peaks, and invites community members to be featured on their website. Whether you decide to join existing communities or create one of your own, remember to focus on establishing a deep and trustworthy connection with community members. Ditch your salesy pitches and start giving valuable advice instead. It’s a well-known truth that social media presence is important for any business nowadays. In fact, social media accounts that are updated at least once a day can expect a significant increase in brand awareness, user engagement, and traffic. Keeping your social media feeds fresh also comes in handy when trying to nurture those uncertain leads. 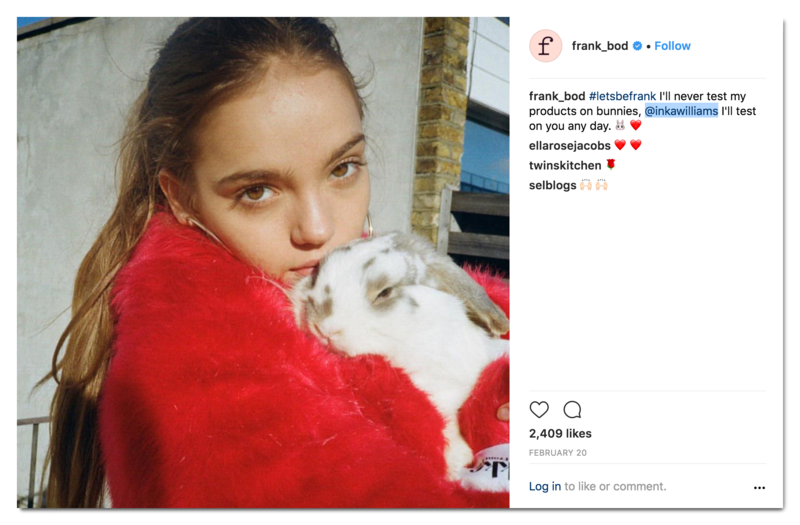 Australian-based natural and cruelty-free brand Frank Body updates their social media accounts almost every day. Through their humorous and body positivity loaded posts, Frank Body is nurturing their leads. You might be following Frank Body simply because you’re interested in their products. Or you might be following them on Instagram because you enjoy their humorous posts. Either way, with every image you see on their feed, you’re learning more about the brand. In this particular case, you are reminded that Frank Body is against animal testing. And if you genuinely care about cruelty-free products, you might give Frank Body’s products a second thought now. Keeping your social media accounts up and running is important. However, what matters the most is what you choose to post. Create content that not only promotes your business, but also showcases your brand’s personality. The more your leads get to learn about your brand, the easier it is for them to evaluate whether their beliefs resonate with yours. And it’s not a secret that shared values can lead uncertain customer towards conversion. If you want your customer to remember you a great alternative to lead nurturing emails is retargeting ads. The most common type of retargeting is probably pixel-based retargeting. By placing a retargeting pixel in the back end of your website, you can track user behavior on your website. This will allow you display only the most relevant ads to your leads on websites across the internet and on a variety of social media platforms. 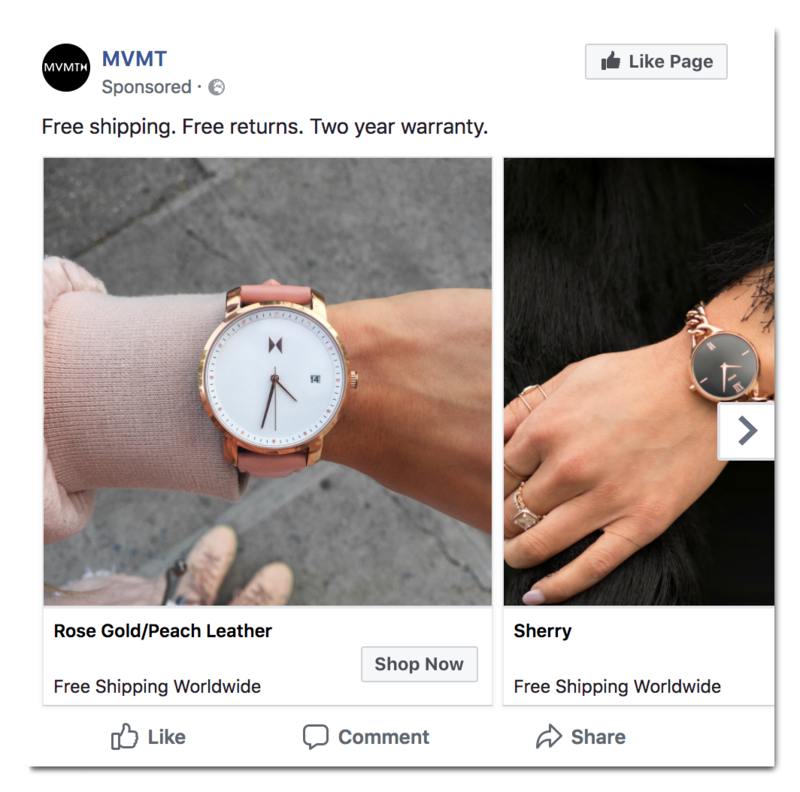 Online watch and sunglasses retailer MVMT uses both web and social media retargeting ads to stay in their visitors’ memories longer. For instance, a couple of minutes after browsing women’s watches on MVMT’s store, I spotted this ad on my Facebook feed. The goal of every retargeting campaign is to focus on website visitors that are already familiar with your brand and could potentially buy from you. Greet these visitors with personalized offers at the right time. And don’t forget to change up your ads every now and then. When it comes to lead nurturing through content, you need to be laser focused on your target audience. You see, the more relevant your content is to your customers, the more reasons they have to stay on your website longer, searching for more information or products. 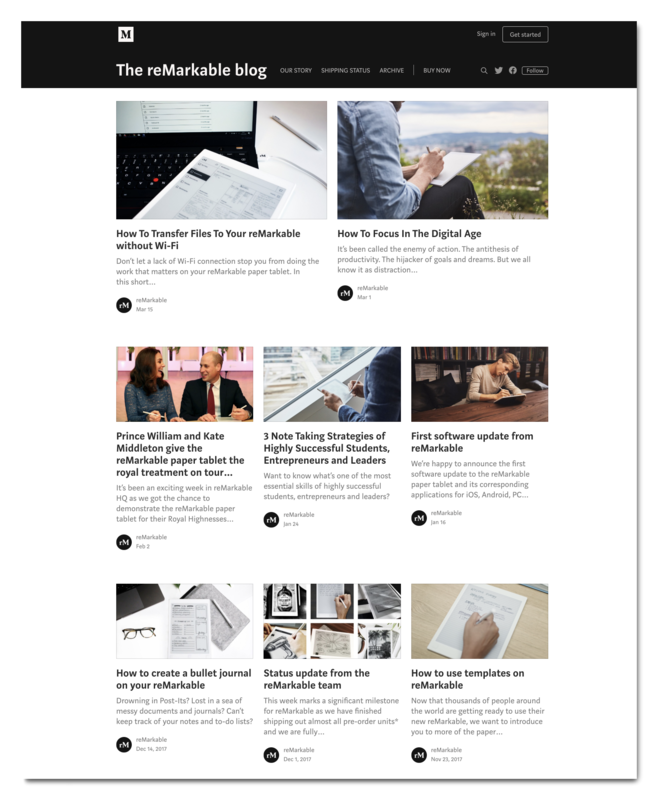 Paper tablet reMarkable occasionally publishes articles on their blog that are created for users at different stages of the buyer journey. Someone who is not familiar with reMarkable might be curious what The Royal Highness thought of this unknown device. While someone who owns a tablet would be interested in a more specific article, like the one about transferring files to reMarkable without Wi-Fi connection. Leads nurtured with targeted content can increase your sale opportunities by more than 20%. So sit down with your team and discuss what piece of content would be the most useful for your audience. And then get to writing! It’s not a secret that different events like seminars, trade shows or workshops are great opportunities to meet potential customers. However, these events are also great for nurturing your existing leads. The truth is, most online business owners never get to see their customers face-to-face. And even though it’s possible to build bridges with your customers miles away from you, nothing can beat a real-life conversation. Communicating face-to-face with your leads can help you build trust and lasting business relationships. According to the Center for Exhibition Industry Research, 91% of event attendees admit that they get the most useful buying info from events like trade shows and exhibitions. Moreover, 79% of the attendees say that visiting shows helps them decide what products to buy. Are you selling one-of-a-kind jewelry? Get a stand at a local arts and crafts fair. Are you an established handmade furniture store owner? Exhibit at upcoming home decor trade shows. Or maybe you are an illustrator selling watercolor prints? Organize a watercolor workshop at the local art gallery, or see if you can give a speech about your experience at a local illustration festival. The key is to be where your leads and customers could potentially be. Whichever event you decide to attend, let your audience know you’ll be there. And don’t forget to bring your business cards along. While you’re trying to come up with a catchy subject line for yet another lead nurturing email, your competitor might already be reaching out to your lead directly through browser push notifications. The truth is, with the average click-through rates as high as 27%, browser push notifications are gaining momentum in the ecommerce sector. And if you haven’t given this communication tool a try, you’re missing out. 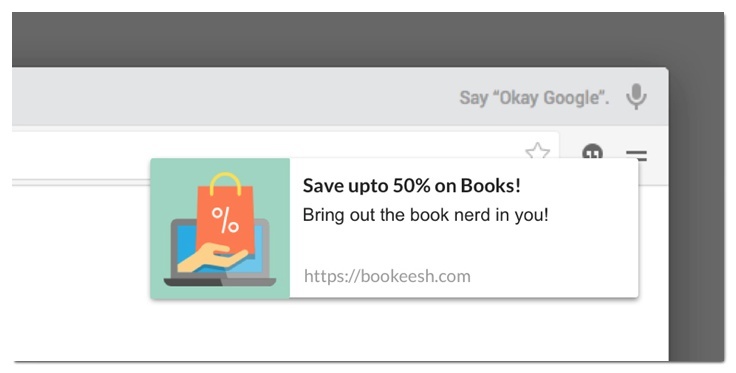 If you’re not familiar with them, browser push notifications are short messages that are delivered to subscribers’ desktops or mobile devices, even when they’re not on that particular website. Just remember, browser push notifications are highly engaging. That means you need to be careful when putting together your copy and deciding on the frequency and time of web push notification delivery. Other than that, be creative and don’t hold back from experimenting with different approaches to this communication channel to find what works the best for your audience. Your website visitors come from different places. Some of them end up on your website by clicking your ad on Instagram, others come through search or your drip emails. What’s more, each visitor is at a different stage of their buyer’s journey. So the question is – if all of your visitors come to your website from different places, why would you greet them with the same landing page? You see, the more a landing page connects with your customers’ interests, the more likely it is to convert them. And in order to create that connection, you will need to personalize your website to different users, providing them a remarkable browsing and shopping experience each time. Personalized landing pages help to nurture leads as uncertain visitors get to learn only about certain aspects of your business that they already showed interest in. Moreover, a study by Smart Insights showed that correctly targeted and tested landing pages can increase your conversions by 300%. The online fashion and beauty store ASOS has multiple landing pages that are shown to users based on their behavior on and off-site. For instance, if you clicked on their Facebook retargeting ad, you will be directed to a landing page that is connected with that particular ad you’ve just interacted with. Also, whether you are greeted by a landing page with women’s or men’s clothing depends on what products you viewed during your last visit on ASOS. Other pages go the extra mile and display the visitor’s name on the custom landing pages. However, be careful when juggling your users’ personal information. There’s a really thin line between being helpful and indelicate. Every lead that comes your way has a unique set of interests and expectations. Not to mention that each of them is at a different stage of the buyer’s journey, requiring your lead nurturing strategy to be well thought out. For the very same reasons, setting up an email drip campaign is simply not enough if you want to successfully nurture your leads and drive conversions. In fact, your lead nurturing strategy has to overlook several different activities that will help you convert every lead, doing it in the most cost-effective way. If you still don’t have a versatile lead nurturing strategy in place, you really need to start working on it. Think of it this way: while you’re perfecting that lead nurturing email, your competitor might be confidently luring your leads away from you through several different communication channels. 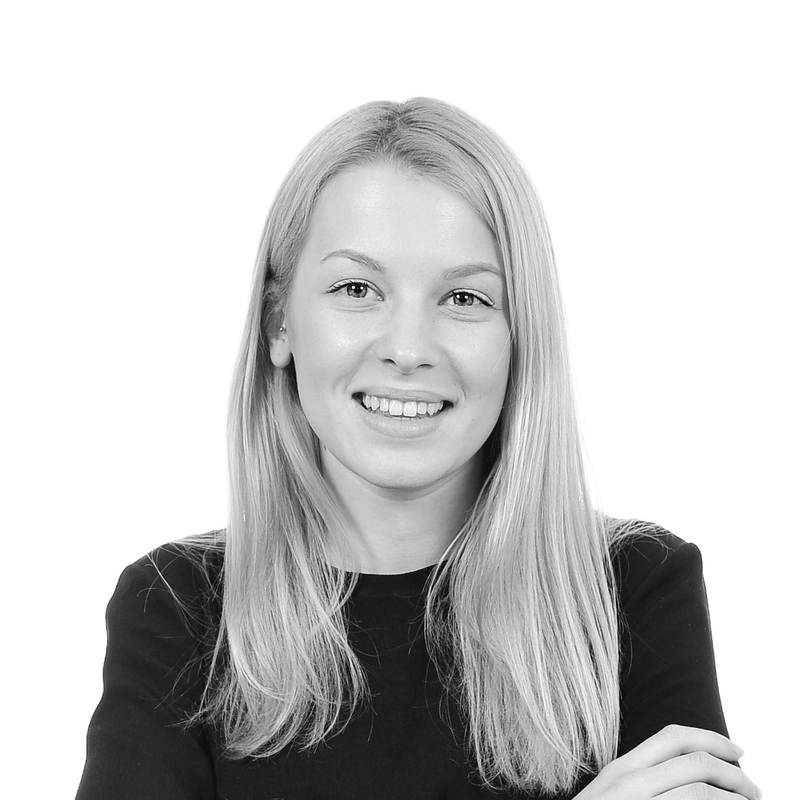 Giedre Sulcinskaite is a Content Marketer at Printful. When she’s not writing about all things marketing, you can find her re-reading H. Murakami novels or packing up a suitcase for another weekend getaway.